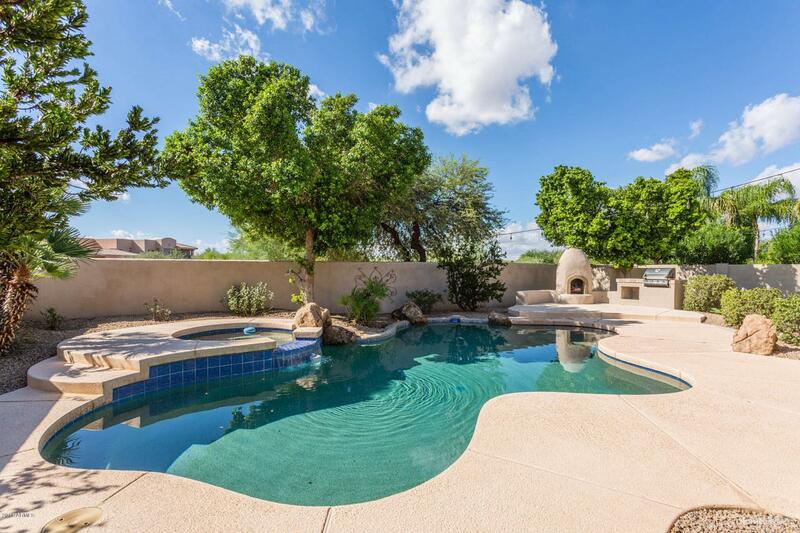 In the heart of Grayhawk; This highly sought-after Talavera Floor Plan is the best value in Grayhawk. This property is 3,705 square feet and includes 5 bedrooms with large closets, 3 bathrooms, a bonus room, largeloft and an oversized 3.5 car garage. The property has an open kitchen with granite countertops and built in refrigerator & stainless steel appliances. The interior is well appointed with a gas fireplace, 20 foot ceilings and a built in bar. The downstairsmaster suite has French doors opening to a private backyard with a heated pool, built in gas bbq grill, fireplace, putting green and a turf lawn.Grayhawk is known for its great schools, proximity to the 101, restaurants and shopping.